chajedidiah | …journeys, relationships, sharing memories, living life and experiencing the fullness of it. 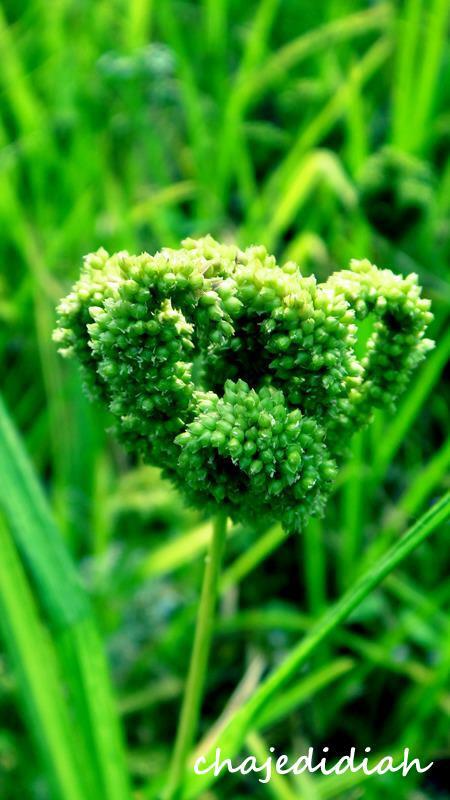 …journeys, relationships, sharing memories, living life and experiencing the fullness of it. Seeing the world in COLORS. traveler / foodie / adventure-lover / BLESSED. My blog was quiet for the most part of 2013 – I used Facebook and Instagram more often, indulging myself to the easy way of taking photos, editing it and just writing a few sentences. I miss writing though… the long kind of writing that doesn’t care if it garners likes or shares… the kind of writing that I just pour my thoughts on anything under the sun that I feel deserves a bit of internet space. So for this year, I hope I get to write more! 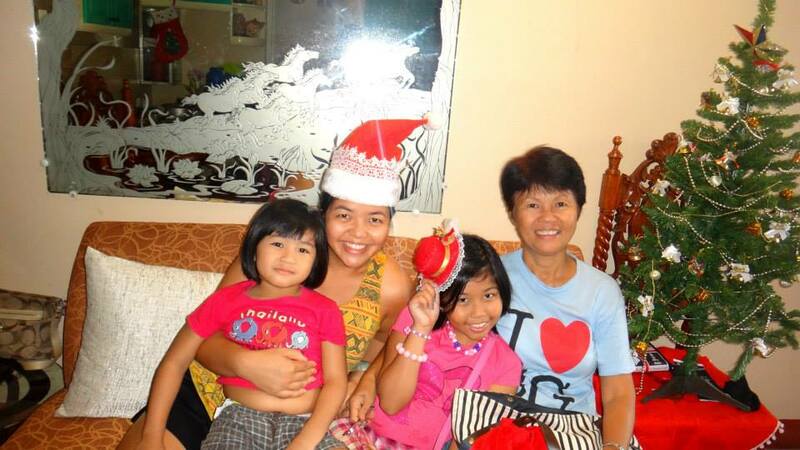 I welcomed 2013 with my family in Philippines. We went to celebrate the countdown at Gen. Emilio Aguinaldo’s ancestral house in Kawit, Cavite. Gen. Aguinaldo, the 1st President of the First Republic of the Philippines, first proclaimed our Philippine Independence from Spain from the window of its grand hall. Yes, too many firsts on this one! 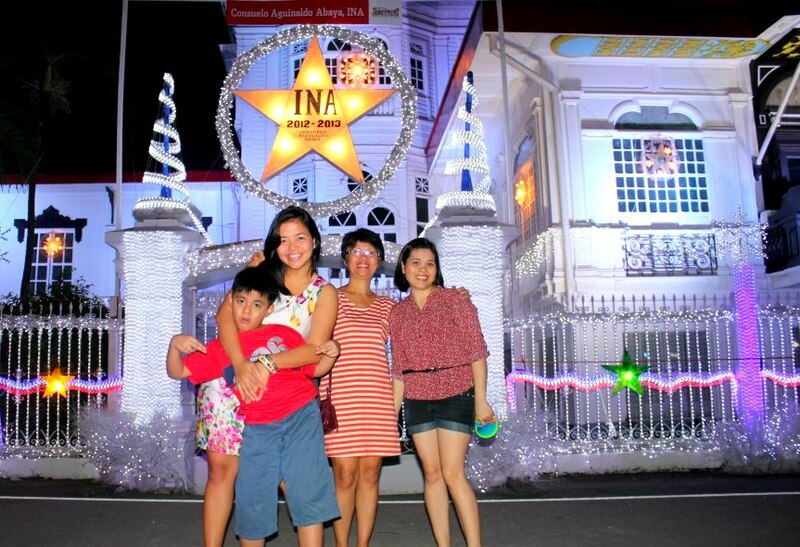 Infront of the Aguinaldo Shrine with my nephew Ezboy, my mom and my sister-in-law. Optimus Prime showed up to greet me a HAPPY BIRTHDAY! Ah the love month! We skipped the expensive dinner in restuarants and instead had a poolside date at our place. What made this special was that we both surprised each other, not the common one way street – as guys do deserve this, too, thanks to my gender equality background hahaha. 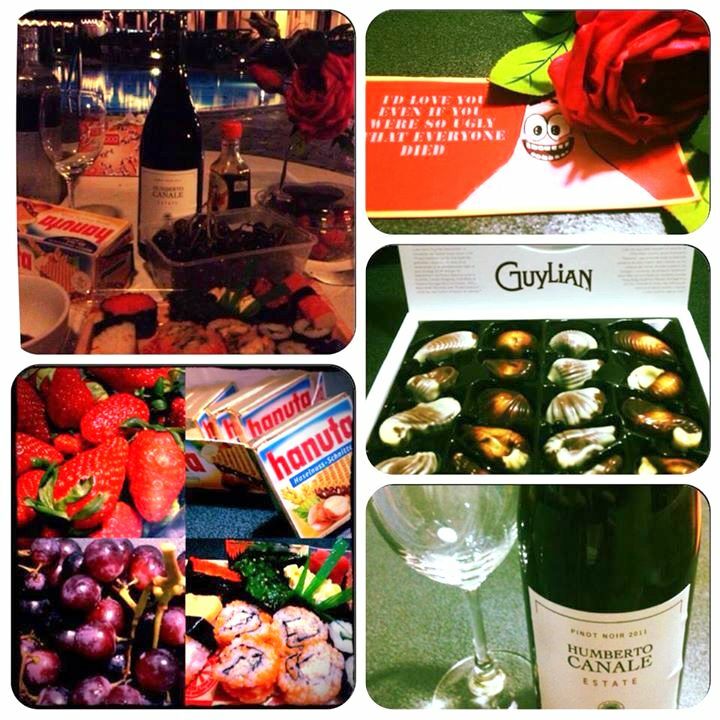 Everything that is lovely and cheesy for Valentine’s day. 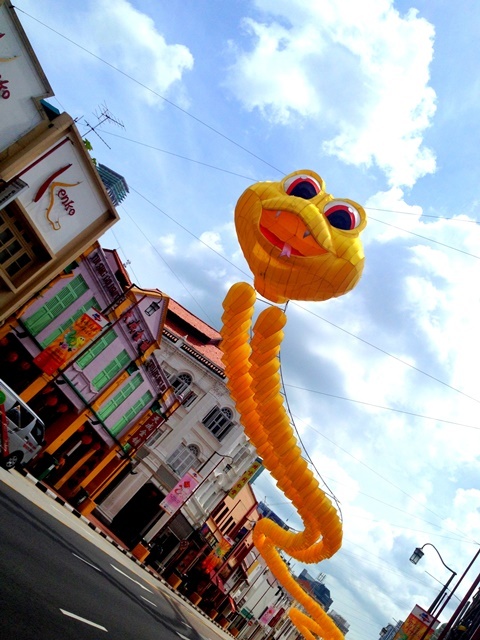 Year of the Snake – 2013 Chinese New Year at Chinatown, Singapore. 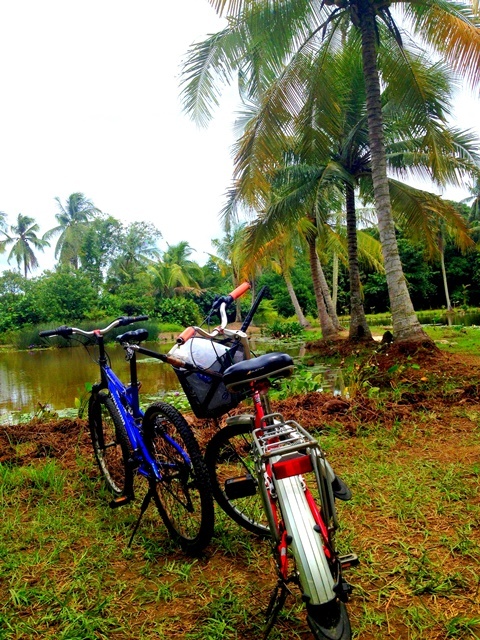 We spent the month enjoying what Singapore has to offer starting with a cycling trip around Pulau Ubin. Pulau Ubin is the 2nd largest offshore island, after Sentosa. This island is the last “kampong” of Singapore that is preserved from urban development – but there are news saying this may not be the case soon because the government is eyeing on developing Pulau Ubin like Sentosa. I hope they will really reconsider as this place is perfect the way it is. Cycling is the best way to go around the island. There are a lot of bike rental shops at the port with various designs to choose from. 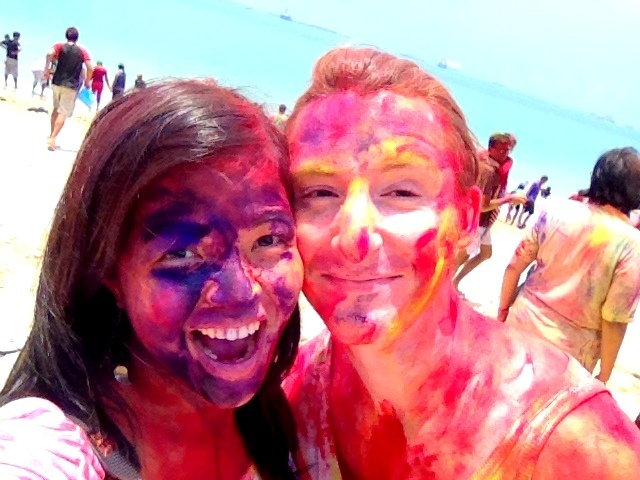 It was our first time to take part in the Holi celebrations and we were glad we did! Holi is a spring festival and more popularly known as the Festival of Colors. Colorfully fucked up during the Holi Festival at East Coast Park, Singapore. 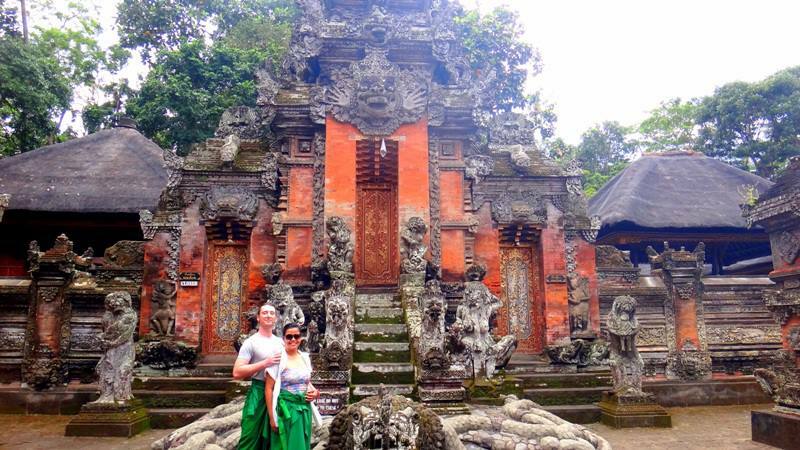 Peter and I officially welcomed summer in Bali, Indonesia. After a few days stay in Seminyak and Kuta – lazing in its sun, motorbiking to famous spots, indulging in a luxurious couple spa with milk bath; doing some adventure sports which the only one that I can recommend is the white water rafting at Agung River (we were pissed off with the snorkeling/turtle island packaged tour, thus, not recommending it) we headed to Ubud, the island’s center for culture and arts. We also did a motorcycling trip from Ubud to Mt Batur, a volcano with a deep crater lake. 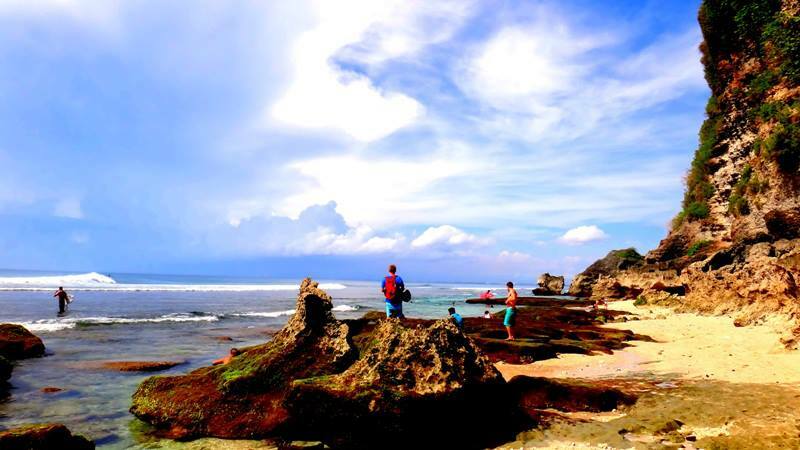 A spot at Nusa Dua that we found after trekking down following surfers. A trip to Singapore was my pre-birthday gift to my Mom and also a pre-graduation gift to my eldest niece, EJ. 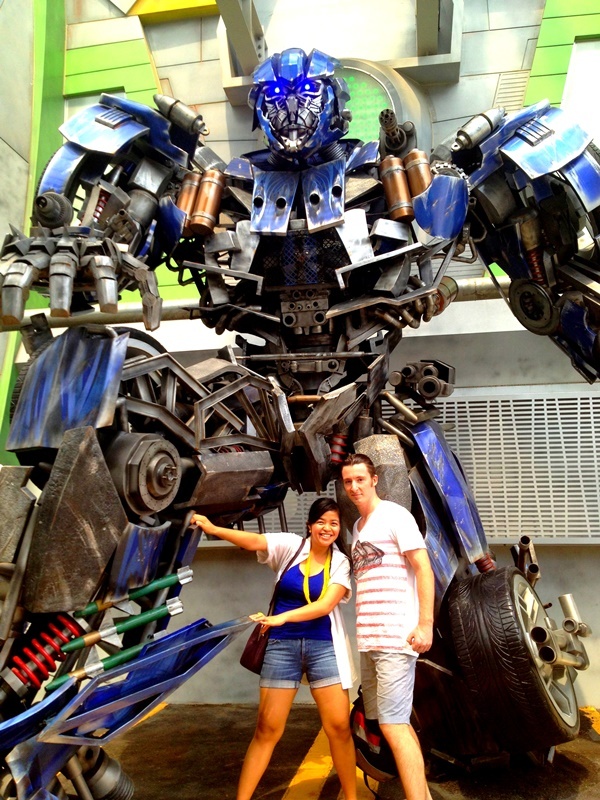 It was a fun time for us touring the city, going to the safaris, USS and showing them the day-to-day life in Singapore. 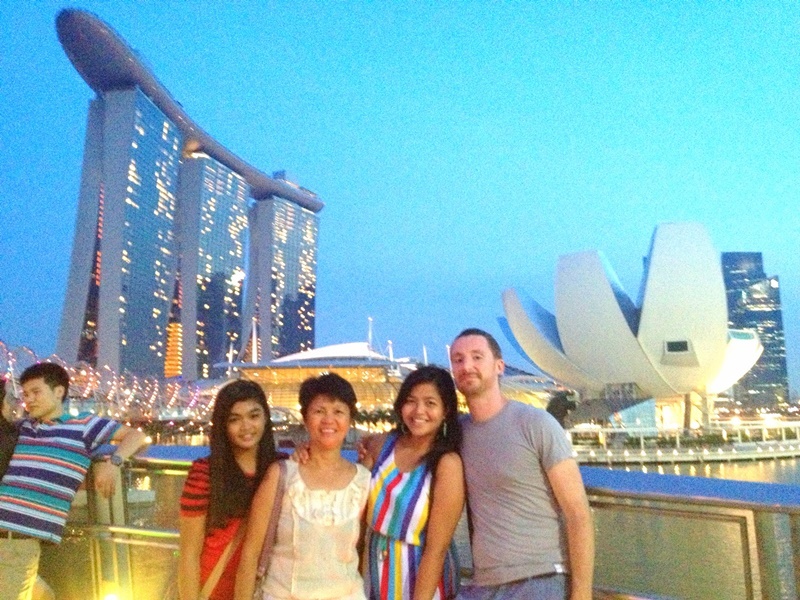 My niece EJ, Mamocka, me and Peter having the obligatory tourist photo infront of Marina Bay. Enjoying an afternoon dip in the pool at home. Another way of burning those Singaporean food calories. This was a ‘dark time’ in Singapore… dark due to the haze that enveloped the country for the most part of the month. The PSI hit a new high record of 371 which breached the hazardous zone. It was tough during these times because we lived in the 17th floor with huge windows and we would wake up with an ‘end-of-the-world’ view as darkness was all that we saw. I am glad that nothing serious happened though thanks to the Singapore government’s actions towards safety precautions, restricting outdoor activities and initiating talks with Indonesia. 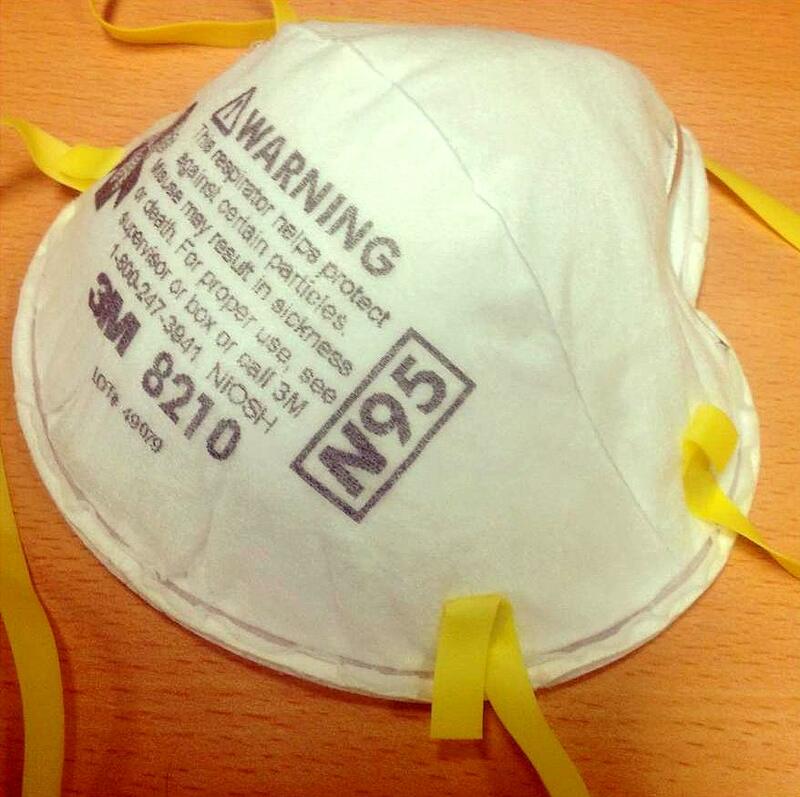 The normal surgical mask was no match to the haze so my office gave away N95 masks. This was a ‘trendy’ fashion accessory for a time. One of the things that I do is managing events for the School. It was fulfilling for me to handle the NUS Initiative to Improve Health in Asia (NIHA) – a forum that involved most of the Ministers / Director Generals of Health in the region as well as the academe and public health practitioners who came together to discuss policies and programmes related to Health Technology Assessment. 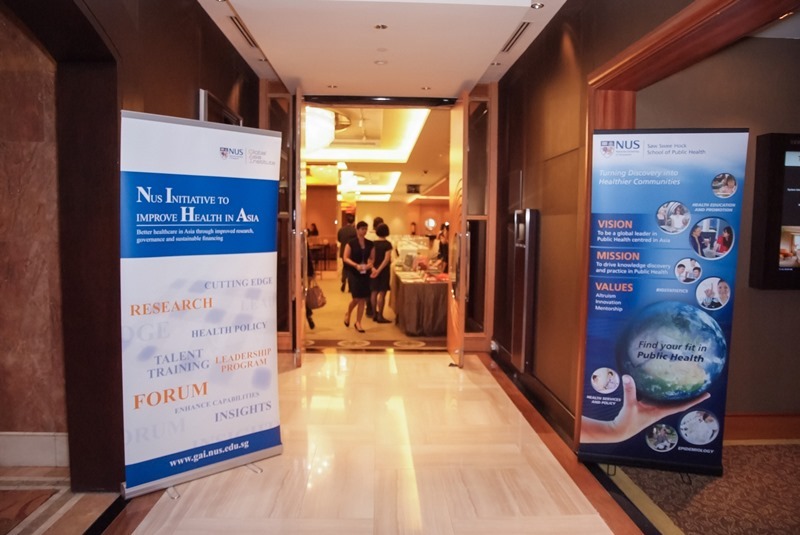 NIHA Forum at Traders Hotel, Singapore. This photo was the ‘calm before the storm’. After NIHA ended, I went to another overseas trip as my way of rewarding myself. I spent a week of relaxation, shopping, having my fill of Thai food and reuniting with my friends in my 2nd home, Thailand. 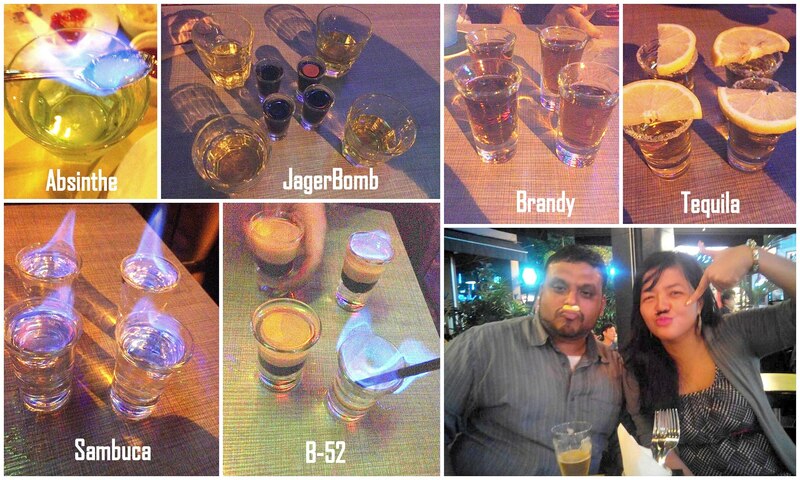 Bangkok, the capital city, never failed to keep me entertained and bringing out the crazy me! A trip to Thailand will not be complete without a beach bum moment. 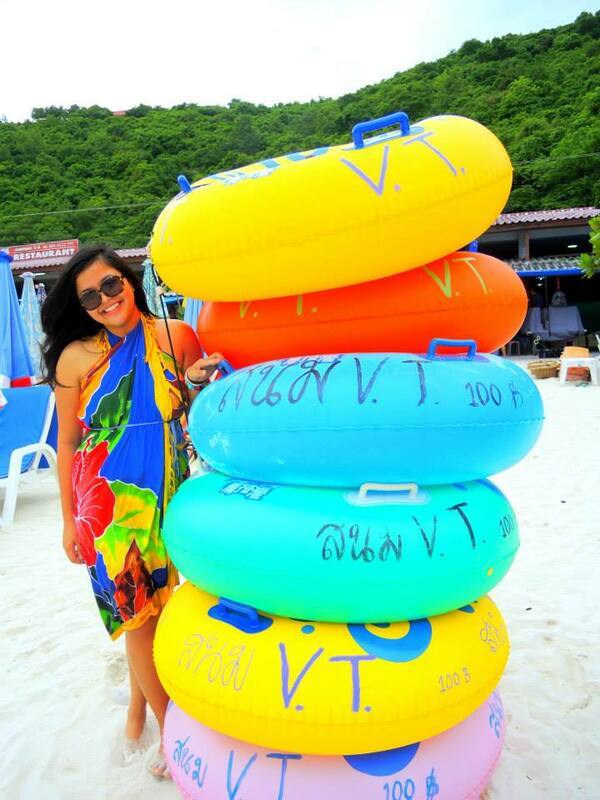 This was taken in Koh Larn, Pattaya. I went for an overnight trip together with my Thai friend, P’Nong, and fellow AWCF-FK, Erika. Potluck dinner with CouchSurfing (CS) friends. August saw me getting back to playing frisbee again, a sport – yes, it is considered as a sport and not just a thing that you do with your dogs 😛 – that I used to play a lot when I was in college. Our School joined the NUS Staff Games and we landed 4th place, not bad considering most of us only learned it in 2weeks time. 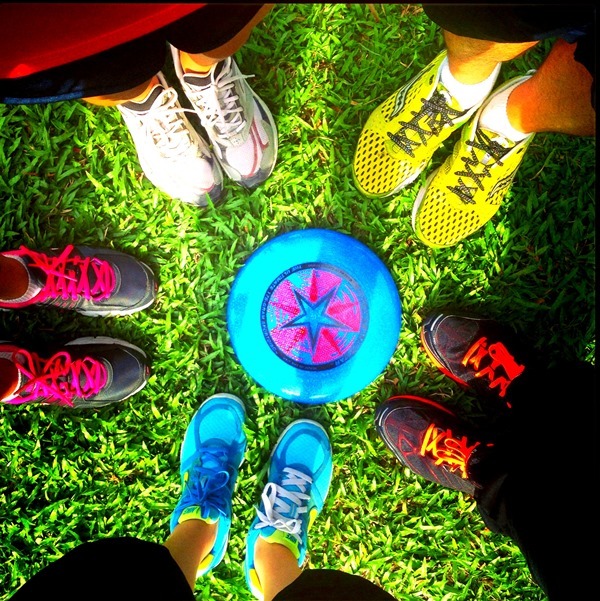 Frisbee with our colorful shoes! Can you guess which one is mine? Peter and I visited China’s 2 Special Administrative Regions: Macau and Hong Kong, as part of our Anniversary celebration. Macau is a former Portuguese colony that still has remnants of the past but also went full steam ahead in building huge casinos with amazing architectural designs that even non gamblers, like us, would visit. A night walk at San Man Lo, Macau’s Historic Centre that showcases Macanese culture – the mixture of Chinese and Portuguese traditions. 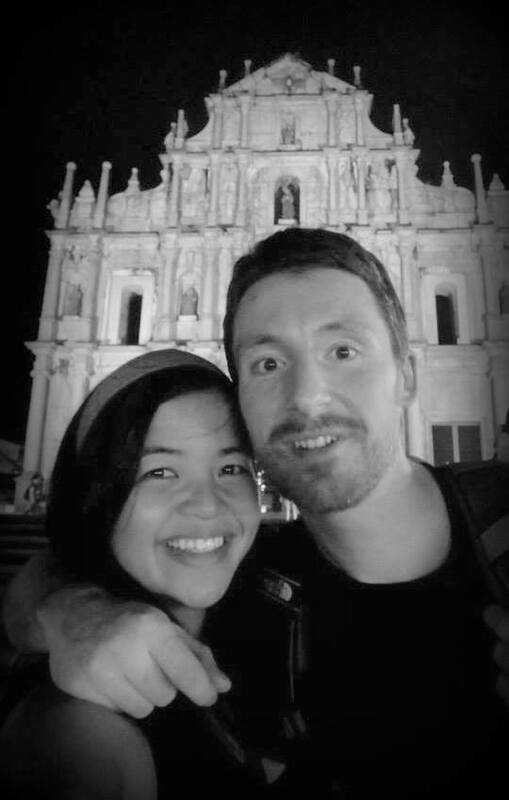 This photo was taken infront of the Ruins of St Paul, part of the UNESCO World Heritage Site. Together with my friends, we toured Hong Kong with its modern architecture, expansive skyline and harbors. 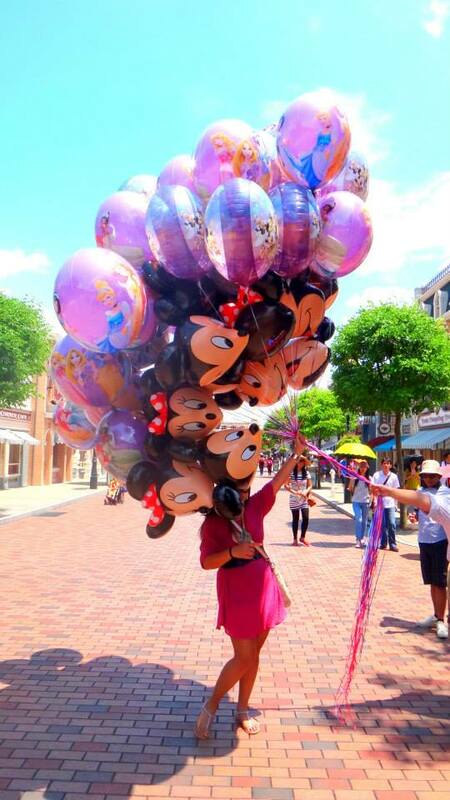 Of course, a trip to Hong Kong wouldn’t be complete without being a kid again in Hong Kong Disneyland! This was my most stressful month at work. The trying times gave me sleepless nights, buckets of tears and my most unhealthy self. Looking back, it was a test of character and the struggles did help me to be better in what I do and also a better perspective of what I want in life and who I want to be. Despite all these,I was just glad that I still had time to spend my first business trip in Manila with remarkable people. My first business trip and it was in Manila! Awesome time at Sentro, Bonifacio Global City. With my 2 wonderful colleagues, Jananie and Joanne, together with my long-time friends, John and Karl. My first Fashion Week experience! 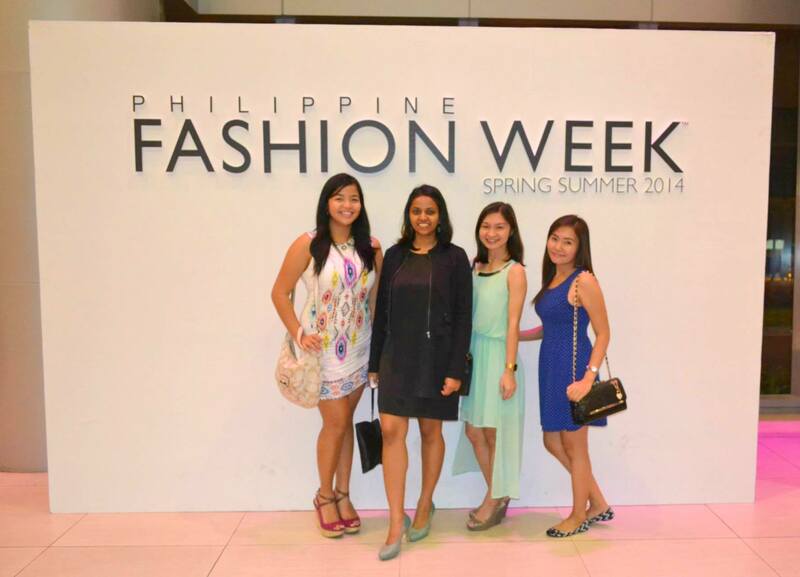 Being fab at the Philippine Fashion Week with Jananie, Ellen and Rae. Hey lovely ladies! It was a crazy month with an uber packed schedule. November 1 was my first time to participate in the Singapore Halloween Dancewalk. It was a lot of fun from thinking of our costumes, doing face painting and dancing crazily with my friends! A fellow CSer did a good job of videoing the whole thing so you can check it HERE. 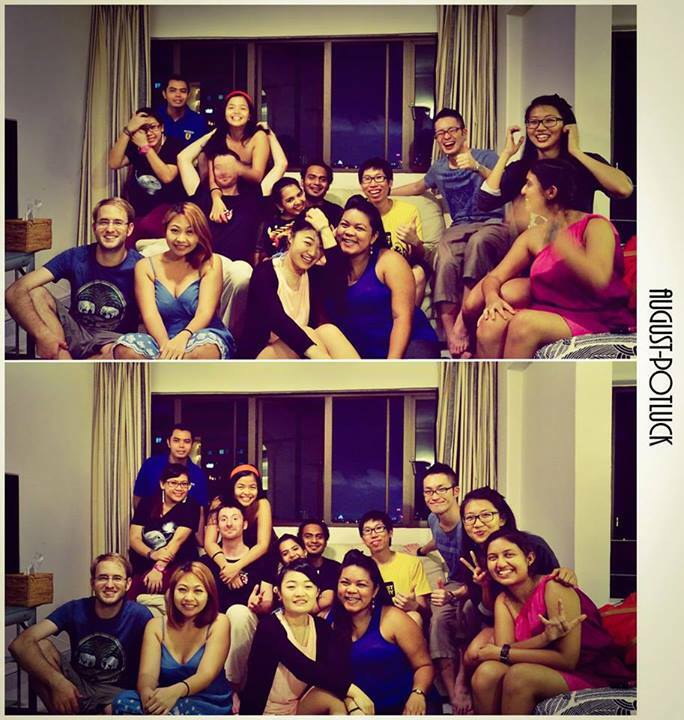 Nov 15-17: I was able to organise an elementary reunion, well only a few came but what the heck, we still had fun! Attended a wedding and college reunion rolled into one and a day to do a bit of shopping, meeting friends and trying to squeeze in a Salon pampering – finally got a PERM! 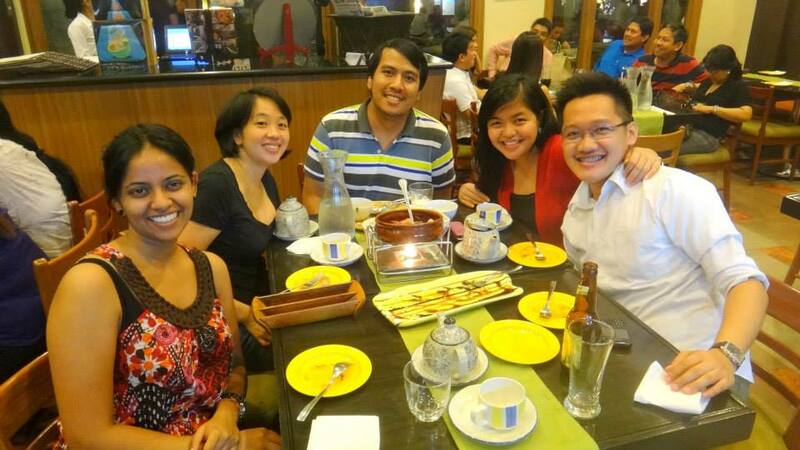 SLS Batch’99, Elementary Reunion with my long-time friends: Rae, Wi, Karl, Jhoana, Kat and Cla-Cla. Photo collage by Rae. Group shot with my Nav friends during my college years. The fab team of Toni and Jackey’s Salon who did a wonderful perm job. I highly recommend this salon as they also have excellent service and amenities. 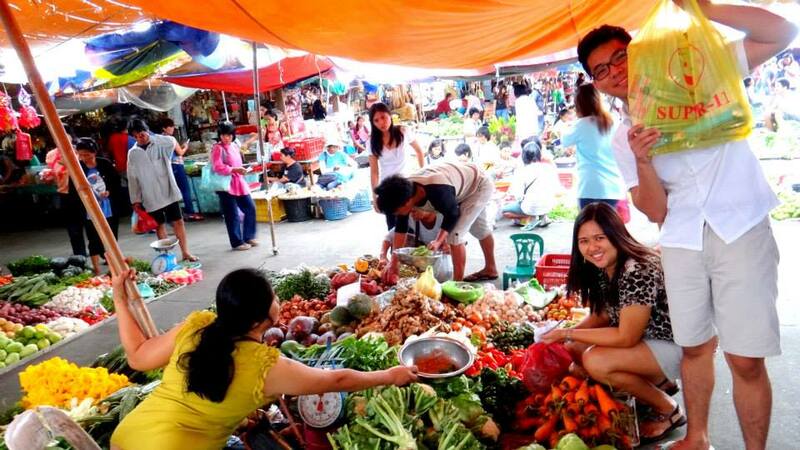 Fresh produce, clean surroundings and nice sellers – things that I love in this ‘palengke’ (Tagalog for market). My friends, Angela and Marco, were a huge helped in my reunion preparations! much love. Christmas feeling in our new apartment in Solano. With mom and my sister’s daughters: MikMik and Yza. Photo taken by my sister, Chatty – you might be able to see a glimpse of her in the mirror. 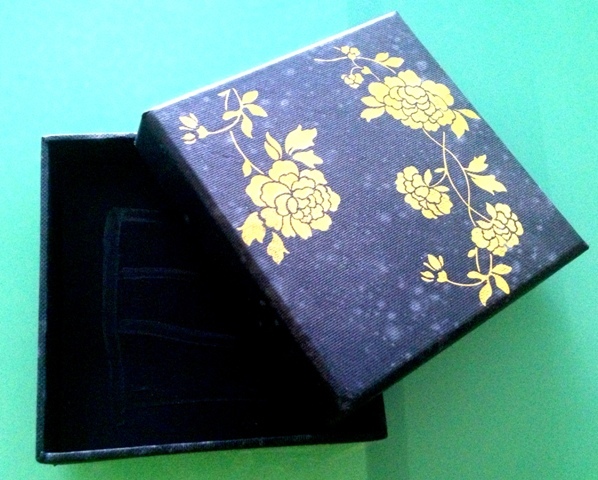 And oh yeah, I won the sala set in a raffle draw! I do have the ‘lucky hands”. 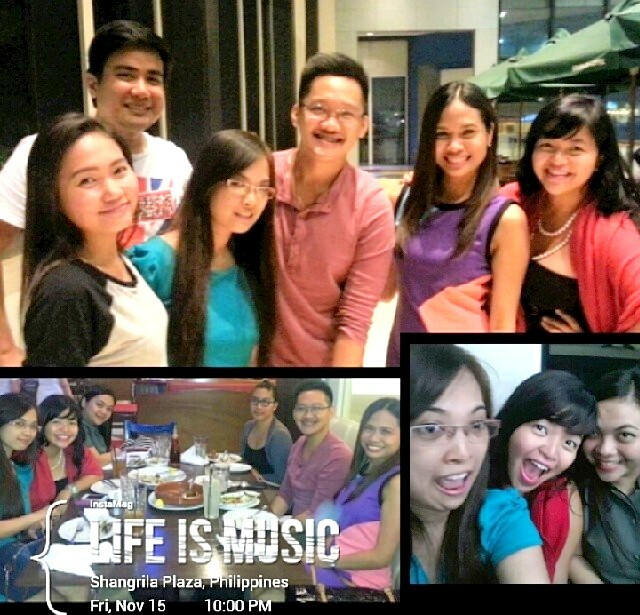 Hands down, December will always be a month of celebrations, reunions, feasts and everything that is good and happy! 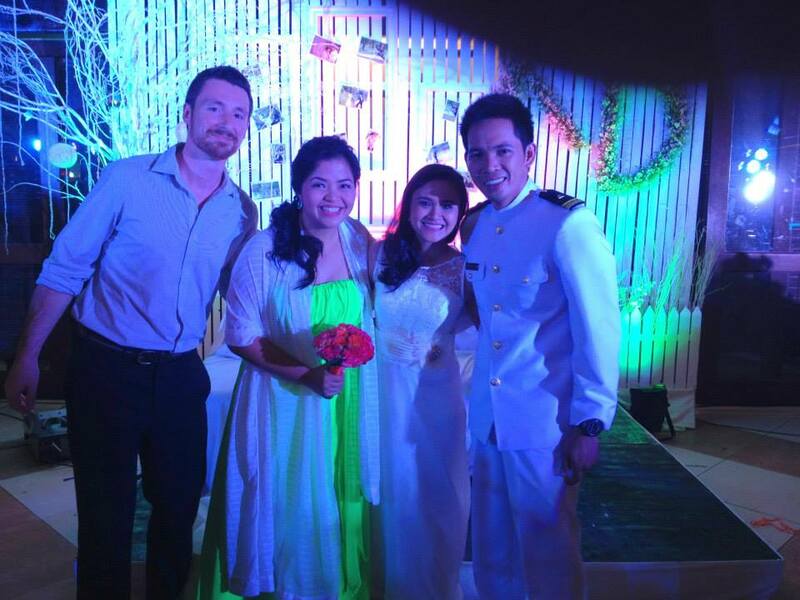 I was one of the bridesmaids at Kythe and Dan’s wedding. 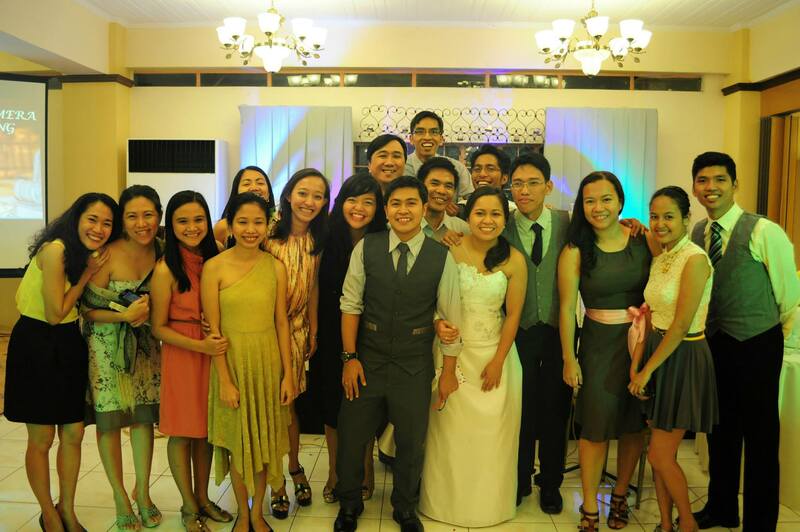 This was also the first time Peter attended a Catholic wedding and met my college friends. 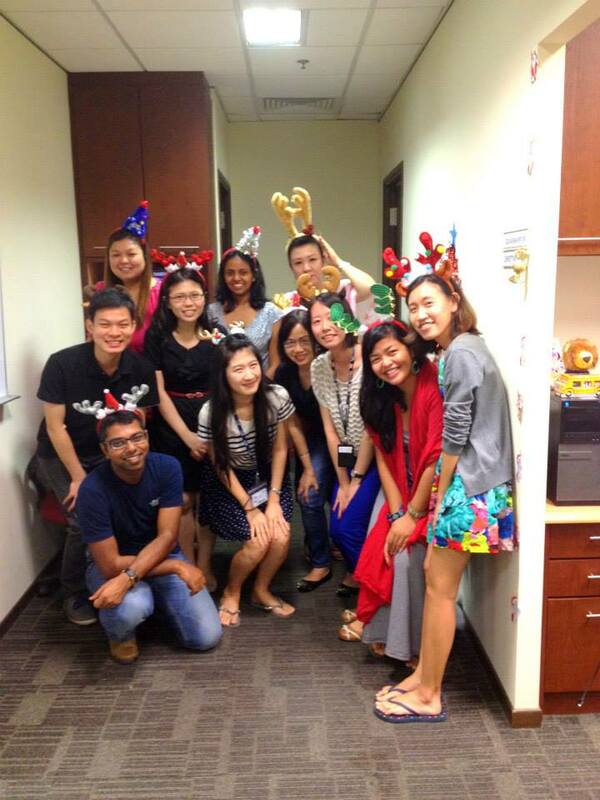 Our office, External Relations, hosted a Christmas lunch with our ex-MD11 colleagues and friends. It was also the luncheon meeting of Santa’s reindeers. 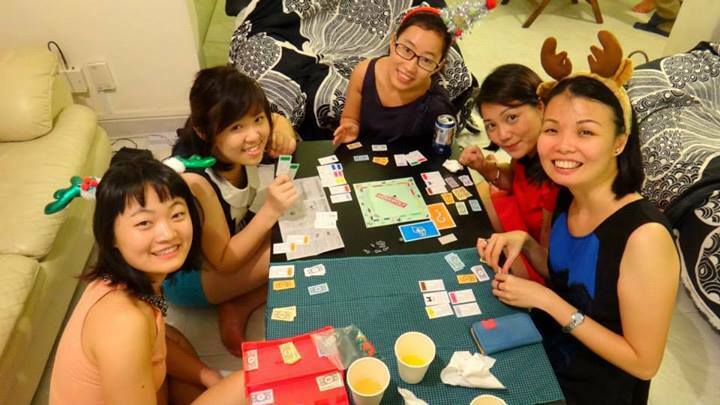 The debut of my tiny monopoly during the Christmas Eve party that I hosted at home. It was so freaking cute that I had to buy it! It’s also a good travel must have especially if I get stuck in the middle of nowhere – so I’ll just invite fellow travelers to play! Crazy FK Reunion with Deenu. New Year’s Eve Countdown at Marina Bay with Peter, Vichelle, Deenu, Ash and Shyam, Followed by Olga’s rooftop party til the wee hours of the morning. Photo by Ash, post-processed by me. With that, I greet you all – who had the patience to check this blog post all the way to the end, a BIG FAT HAPPY NEW YEAR! 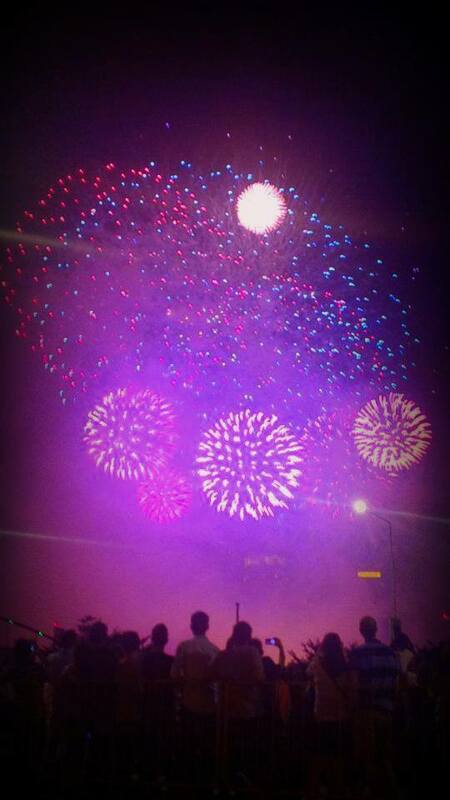 May 2014 be as awesome or if not more awesome than 2013! 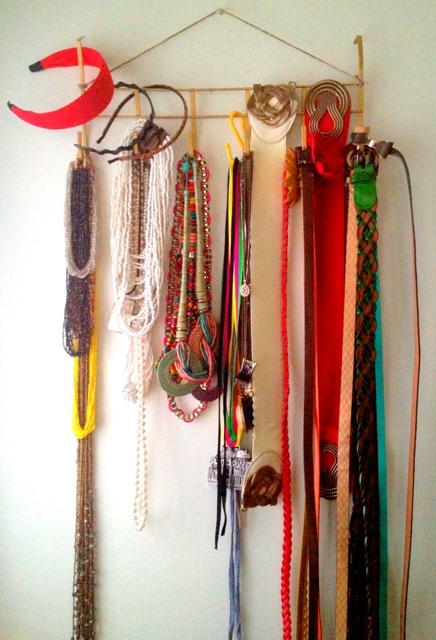 I was never good in organizing my stuff but since I started checking pinterest.com, I became very interested to do my own DIY (do-it-yourself) projects that will help me declutter my things. 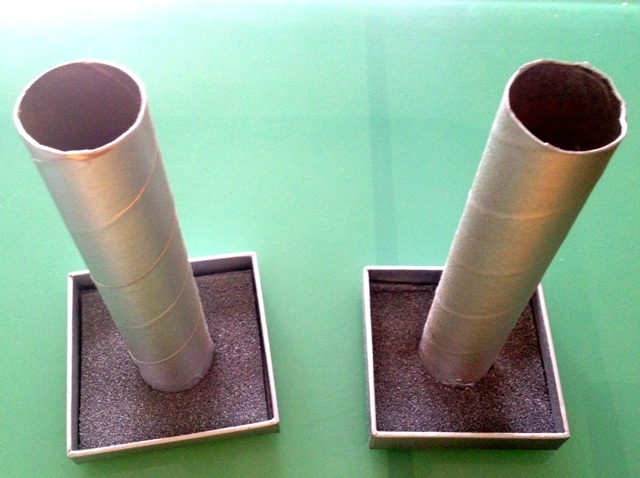 So, here is my DIY accessories organisers and how I made them. 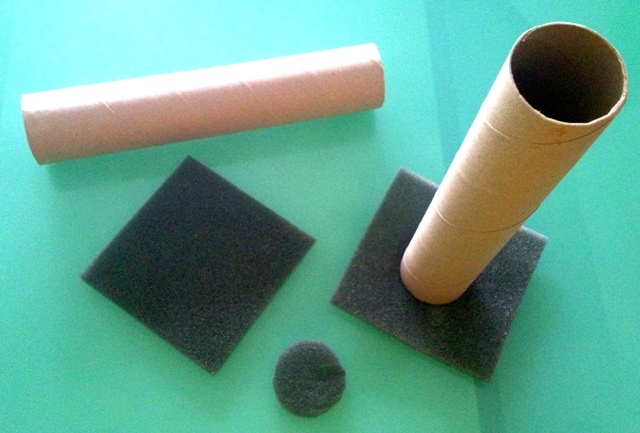 2. trace the roll on the foam, then cut out to form a hole. set aside. 3. 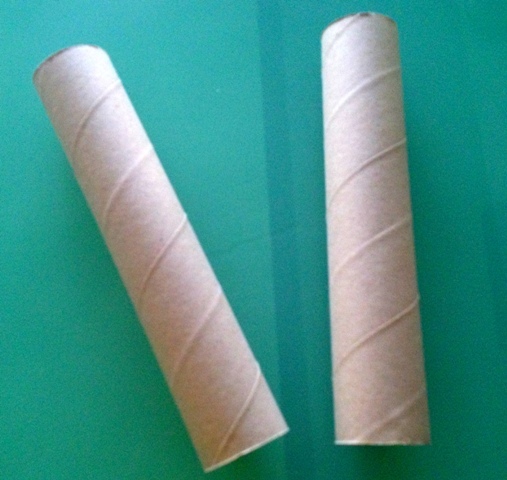 Put glue on the edge of the roll then stick it to the box. 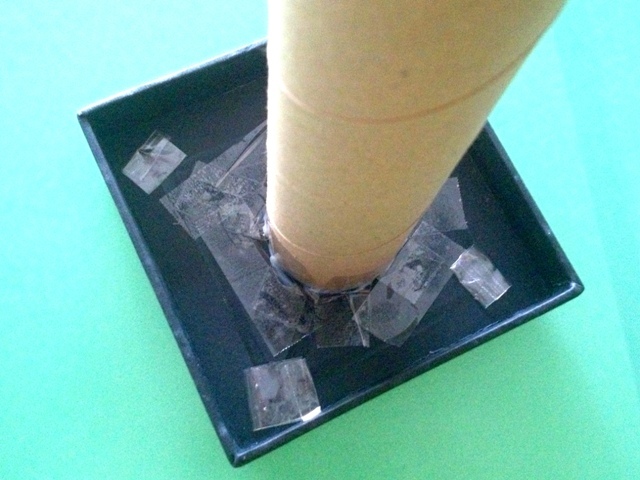 Be sure that it’s secured by putting tapes around it – much better if you have a glue gun as this will make your life easier. I just haven’t bought myself one hence I’m using glue and tapes. 4. Put the foam to cover up the tape and to also make it look nicer. Let it dry. 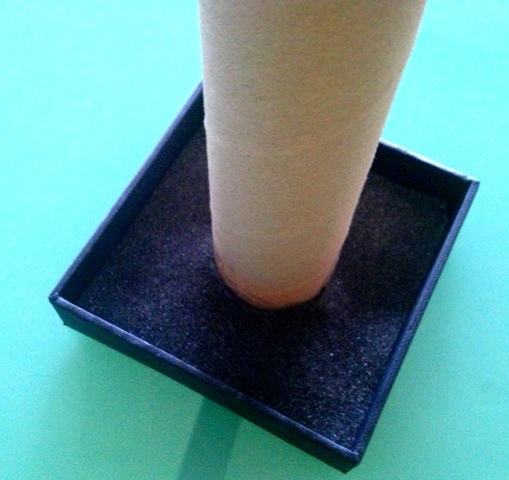 You can also add weight on top to make sure that the roll really sticks to the box. 10. 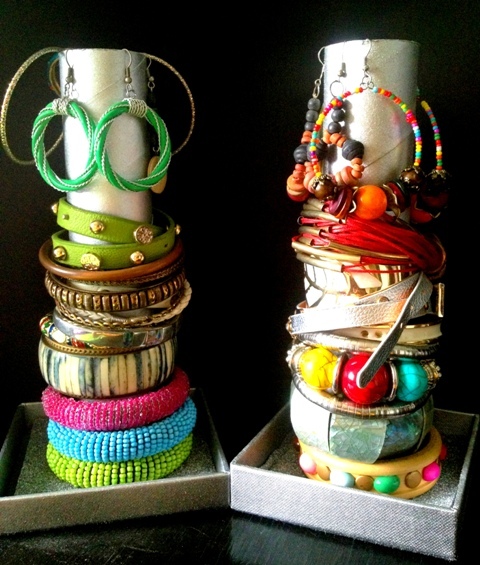 Time to arrange your bracelets and dangling earrings on your fancy silver organiser! 1. Wipe clean the kitchen holder. 2. 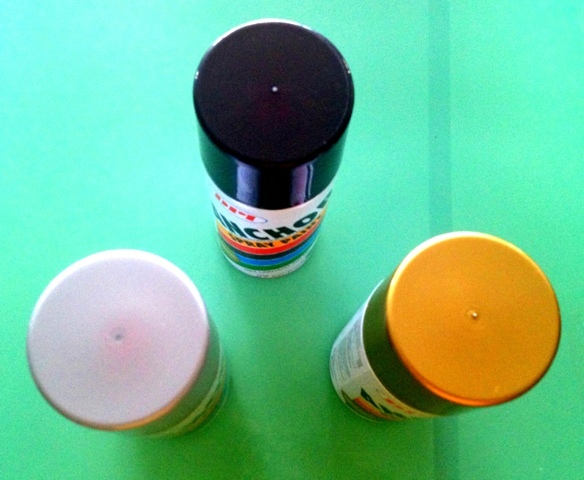 Spray paint both the kitchen holder and the string. 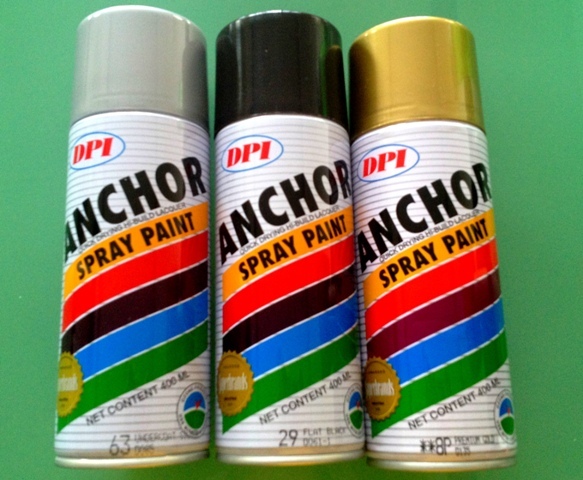 Again be sure you read the spray paint label before proceeding. Let it dry. 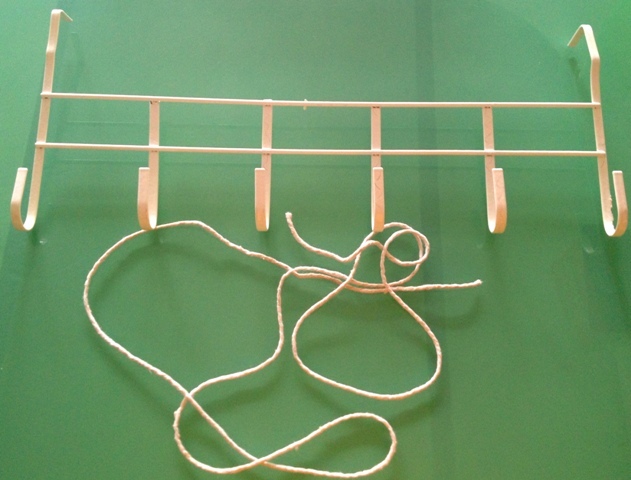 and once they’re both dried, tie the strings and hang it on wall – tip, to ensure that it’s stable, turn the strings on the nail. You can also put 2-3 nails or screws. 4. 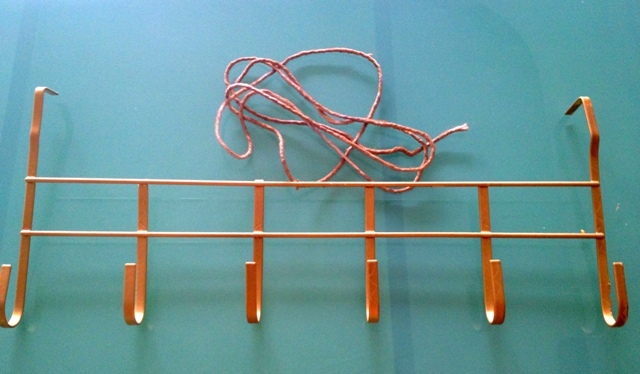 Time to hang your necklaces, belts and headbands on your stylish golden organizer! While I’m writing this post, I’m munching on a bowl of leftover creamy chicken sopas from last Saturday’s party which is perfect for this rainy Singapore weather. Sopas is a Filipino style macaroni soup which has become my comfort food and would often cook it and share with friends. Below is my version of how to do a creamy chicken sopas. 1. Boil water in a pot then add 2 chicken cubes. Stir until the cubes completely dissolve. Turn down the heat before adding the 1 kilo of chicken. Let it simmer so that the chicken will cook nicely and for the broth to be more tasteful. Once done, take out the chicken and let it cool down. DO NOT THROW AWAY THE CHICKEN BROTH! As this will be the base of your soup later on. 2. Prepare the macaroni by boiling water on another pot. Mix in oil and salt then pour in the macaroni pasta. Oil is for the macaroni not to stick with each other and the salt is to add flavor to it. Stir from time to time. Be sure not to overcook the macaroni. Once done, drain it and quickly blanch with cold water. Set it aside. 4. Peel and dice the carrots. 5. Dice the cabbage as well. 7. By this time, the cooked chicken is now cool to hold and easy to shred into pieces. 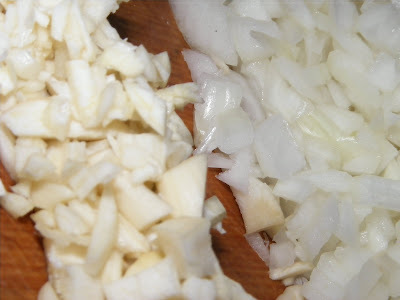 Once all the dicing and slicing is done, it’s time to cook Sopas! 8. 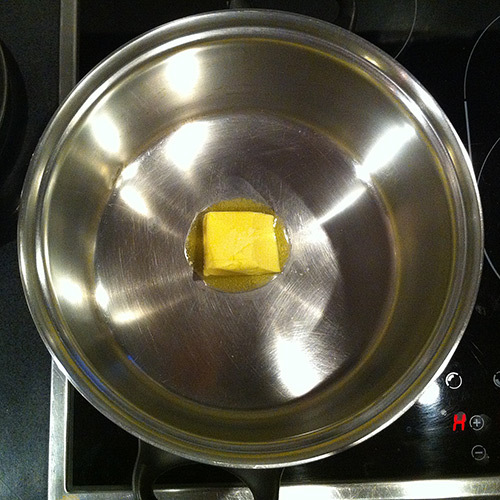 Heat up a big pot and let the butter melt. Saute the garlic and onions and add in the sliced chicken sausage / hotdog and shredded chicken. 9. 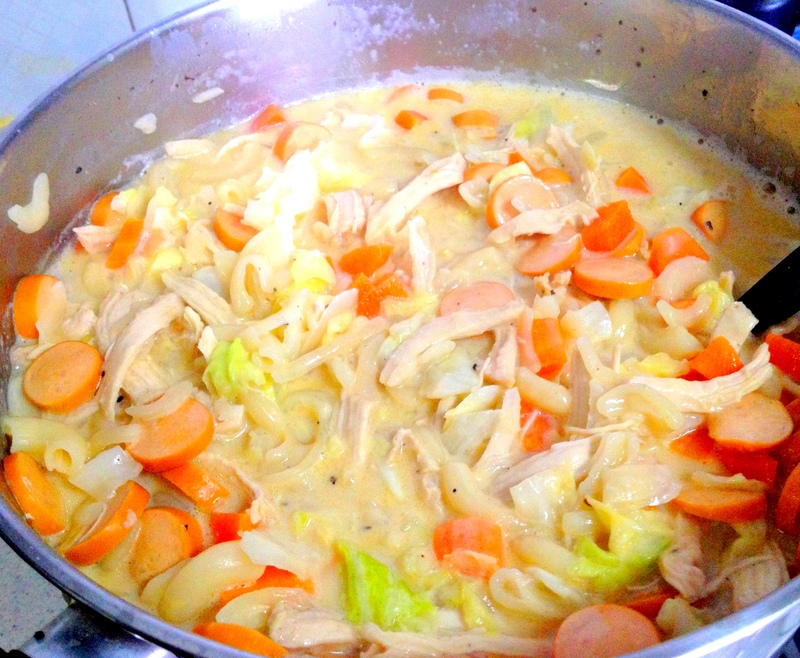 Put the diced carrots, let it cook for awhile before adding in the diced cabbage. Add salt and pepper to taste. 10. Time to pour in the evaporated milk and the chicken broth! Stir and put the cooked macaroni. Add salt and pepper again according to your taste and also water if you want it to be more soupy. Cover and let it simmer – this is important so that the flavor really goes into all the ingredients. 11. And just like that, you now have a creamy chicken sopas that is perfect to share with family and friends. 10-20 bowls but still depending on your appetite. 😉 You can half the ingredients listed above if there are lesser number of people eating. But based on experience, it’s definitely ok to have leftovers as the sopas will even taste better after a day or 2 in the fridge – as with all the other soups that taste better after sometime. Be sure to let it cool down first before putting in the fridge and just put it out when it’s time to reheat. You can even go as far as using halal certified chicken and sausages so that your Muslim friends can enjoy this hearty dish, too! Going unnoticed until we decide to still ourselves from the chaos and let awe and wonder take over. 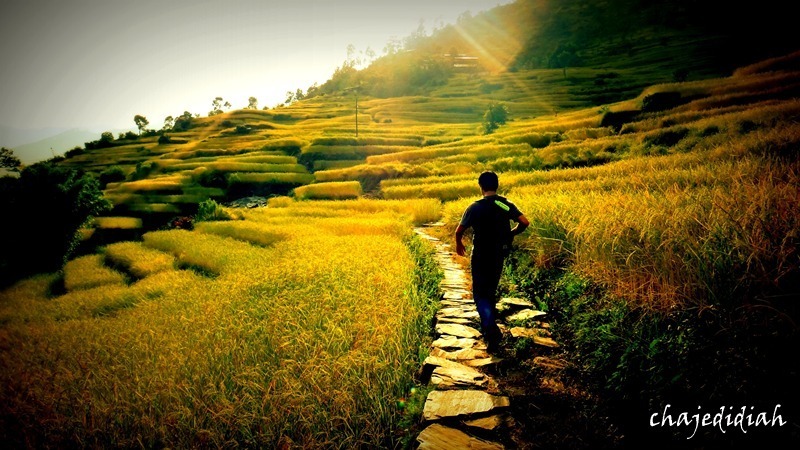 Jeevan or Jivan means life in Nepali language. 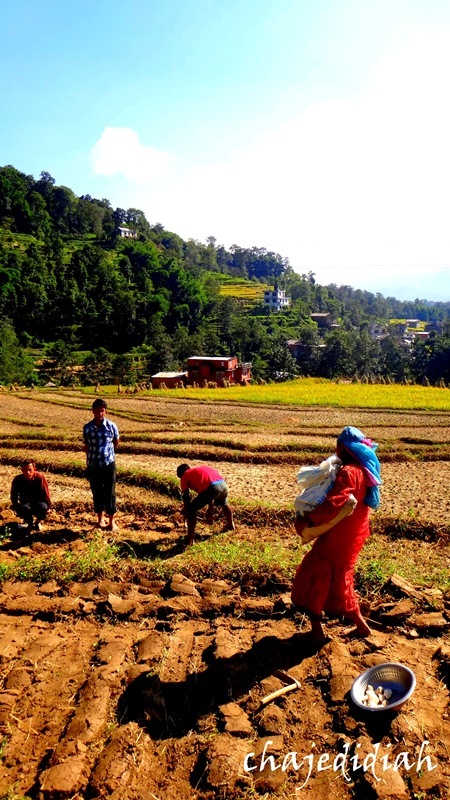 The Nepali way of life was what I sort of experienced while I was there. I say sort of because my 8 days stay in Nepal were not enough to actually experience everything that this country offers – a country that is in a middle of two powerful nations, China and India. I encountered “Jeevan” on a cold Wednesday night. I decided to go to Thamel, a tourist centre in Kathmandu City which is composed of narrow streets that houses small shops, to book my bus ticket and buy warm clothes for my trip to Pokhara the next day. After booking my bus ticket, I went to grab some snack at Illy Cafe. My supposedly short snack stop turned out to be an interesting conversation with two Israelis who got excited when they learned I am from Philippines. We ended up discussing areas of interests that they can visit. Good thing I worked in Philippine tourism so my knowledge and experiences came in handy. It was already dark when our conversation ended. We said our goodbyes in the hopes that we may see each other again. After paying the bill, I went off to buy items on my list. 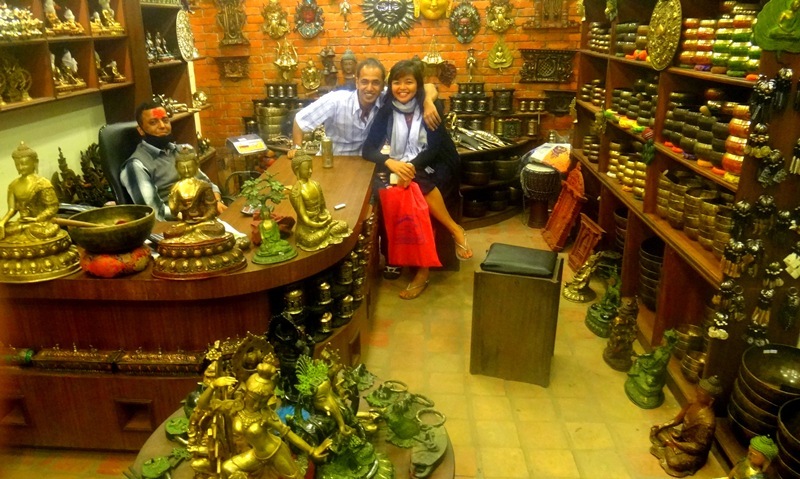 Souvenir Shop in Thamel. I went here thrice because I really liked their craftsmanship and I already became friends with the vendors. They even offered me some beer and a nice chit chat. I bought a fine KHUKURI, a carved Nepali knife similar to a machete. Khukuri is a symbolic weapon of the Nepali Army and of the Gurkha regiments. I chose a 1 foot-long khukuri engraved with the word Nepal and decorated by gold plated Nepali coins, inscriptions and army symbols. After sometime, I decided to walk from Thamel to Durbar Square. Street lamps are not that popular in Nepal so you have to get accustomed to dark streets and alleyways. It is due to the fact that power outage is very common, an average of 10 hours a day (and might increase). Nepal mainly uses hydroelectricity and the blackouts are caused by the falling generation of the hydro power plants due to the slow melting of ice and political and economic issues that I will not discuss here. Back to Jeevan, I was walking in the dark streets trying to figure out the way to Durbar Square. I made a wrong turn and asked directions from the old man walking beside me. He smiled and said that he will take me there himself. I replied that I didn’t want to impose especially during festival time wherein they should spend it with their family. He insisted and lead me the way. Despite his happy disposition, I didn’t let my guard down when I realised we were not walking on the main road but on dark alleys. I gave some distance between the two of us and when we passed by a store, I discreetly asked the vendor if this way will also lead us to Durbar Square. The vendor replied “yes!” which gave me some assurance only to look up and see that the old man saw and realised what I just did. He came to me and asked me my name. I said, “My name is Cha”. He said “Cha is like a daughter. So, treat me like a father. Cha is a guest and during festival time, gods and guests are the same. So do not worry, you can trust me”. What he said totally changed the atmosphere and I let him lead the way through narrow dark alleys. Just to be clear, I am a believer that most of the time, strangers turn out to be a good conversationalists and guides (so don’t believe in the saying “Don’t talk to strangers”) BUT one must always be street smart and cautious especially for ladies travelling alone at night time. Meet JEEVAN. 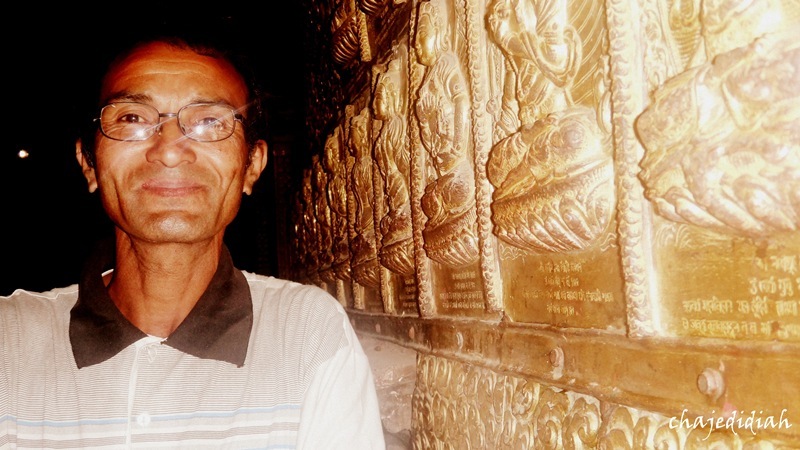 Jeevan is the name of the old man who lead me through dark alleyways, explained the religious and historical significance of the temples and buildings, lent me his mobile phone so I can call my friend to pick me up and waited with me until he arrived. 🙂 I hope we can meet more Jeevans along the way. Jeevan is not just the name of the old man but also a word that stayed with me. Jeevan is life and the fullness of life in its different forms is what I encountered in this country and what I look forward to experience in the next countries that I will set foot on. More stories to follow. Below are some snapshots of Kathmandu. 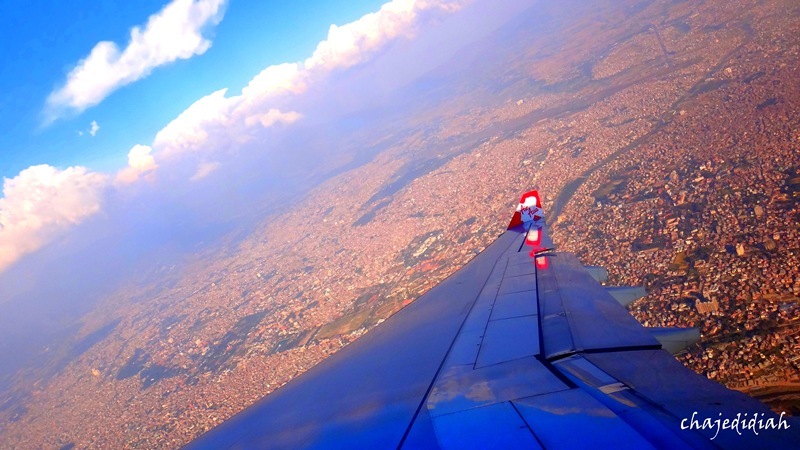 View of Kathmandu from the plane. Kathmandu VALLEY is actually composed of 3 districts: Kathmandu City (the capital), Lalitpur and Bakthapur. Kathmandu is named after “Kasthamandap”, a three-storey temple in Durbar Square that is made entirely of wood without nails/irons from ONE SINGLE TREE. Just imagine how massive the tree that was used to build this temple. Rooftop View. 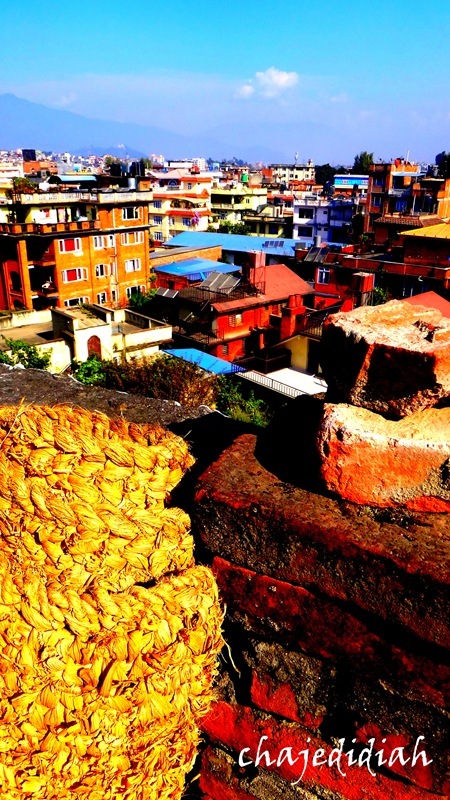 Nepali homes are usually just 2 to 4 storeys high and have a rooftop. Those higher buildings that you see here are usually office spaces. An American, who married a Nepali, that I met during my bungy trip said that because of the power outage, people would usually use the rooftop during winter time to get enough sunlight, hang out for a chat, enjoy a meal, drink or play cards. I wept silently as I felt the surge of anger, followed by pain, then onslaught of memories and to think that my last blog post here was about shining in the darkest places and let love flow. You see, I always tell myself that there is goodness in people – this thought makes me trust people easily. I always try to think that if I am in their situation, I also want to be trusted and to be given the benefit of the doubt but this thinking of mine has backfired, countless of times. 1. Losing Chee-Chee: I was working in Makati back then and living in a 3 bedroom apartment shared with other Makati girls. I rented my own room and was happily living there until came this new housemate of ours. I was the only one who has a television so the always-welcoming-me would invite my housemates to come in my room and watch. This was also a good time for us to chit chat and get to know each other better. This certain lady would come often especially when she learned that I love traveling. She said she also like traveling and would tell me of high-class places that she’d been to. I even offered her some recommendations and personal contacts of places that she must visit as well. Since she always stayed in my room, she got the chance to see my things. One of them was Chee-chee. Chee-chee was the name of my laptop that my Dad gave me as a gift when I was in college. My thesis partner, Hegel, knows how much I love Chee-Chee as she came really handy with all the school work. To cut the story short, one day after work, I excitedly went to my room only to find out that Chee-chee was gone. I hurriedly went to our landlady and asked her if they’ve seen my housemate and to my shocked, our landlady said she left already with some of her things. I cried so hard that night. It turned out my housemate has a record of thefts even from her previous apartment. 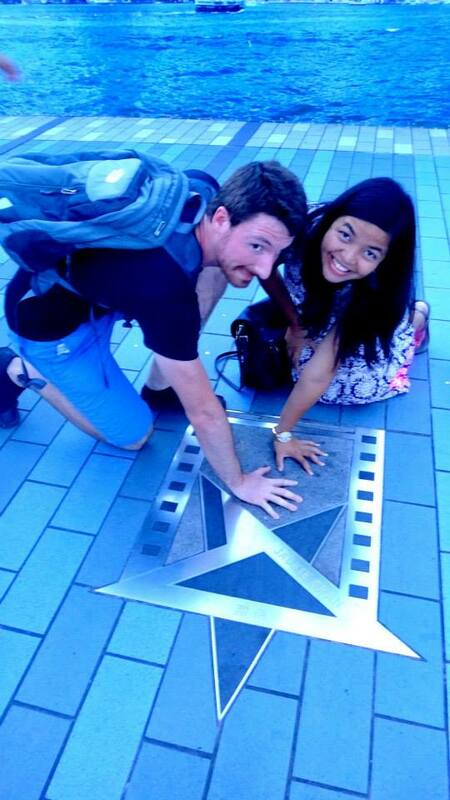 We were able to track her down to her hometown in Laguna. Together with my eldest brother, a police and my landlady, we went there only to find a gloomy home with two old parents living in it – a far cry from the high-class, happy family that she painted on her stories. My housemate was nowhere to be found. Her parents didn’t know her whereabouts and they were also devastated to have learned of their daughter’s theft records. Seeing that the mother was sickly and they have no capacity to pay back, I told them that the least thing that they can do was to talk some sense to their daughter. 2. Pleading for something I actually own: This happened a month before I started working here in Singapore. A neighbor back in our province in the Philippines who is also working in Singapore needed money. I thought she was concerned when she asked if I still have money left as I was waiting for the approval of my work pass and Singapore is an expensive city to live in so money can really be an issue. I told her yes, I still have enough. She asked if her housemate can borrow some of it. By the desperate sound of her voice, I said yes and agreed to meet the two of them the next day. When we met, we went to the money changer. When they saw that I was exchanging more than what her housemate needed, she asked if she can borrow, too. I looked straight into her eyes and told her in a very firm voice that I really needed the money back by the end of the month. She promised that she will pay back as she was also aware that I was hoping to transfer to a new place nearer to my work and I also need to buy new things. She said yes and added that I can trust her. Come end of the month, they weren’t able to pay back… it dragged on for days and for weeks. That was a stressful time for me as I was the one pleading for her to give me my money back. I felt so helpless and my friends here in SG was shocked when I told them the amount that I lent her considering that I haven’t even got my first paycheck. I blamed myself for trusting her so easily. I didn’t want my family to worry about me so I tried not to tell them about it but given with no choice, I called my brother to transfer my money that I gave him for his business. This “neighbor” was able to give back most of the money I lent them after much pleading. I grew tired of contacting her on the rest so I was just hoping she still has some conscience left and might one day just send me a message saying she’s now able to pay the rest of the amount. 3. And the dam overflows: The first two stories were not the only ones that happened. There were some trust gone bad incidents that happened in between with other people but this last one was the end of it as I may find it hard to trust people that easily again. This happened just a few hours back while I am typing this post. I decided to arrange my clothes in the cabinet and saw my old wallet that I tucked in underneath the clothes . When I checked on it, I was shocked to see that a few thousand peso bills and some US dollars were gone. I calmed myself and thought it must have just fallen off. I checked everywhere, even my bags just to make sure I didn’t forget that I might have put it there. But the bills were nowhere to be found. I was so sure that the money was there before I left for my recent overseas trip because I checked on it when I got my passport which I also placed underneath my clothes. I tried to be calm and told my roommate that I lost some money. I said to her that I hate to blame anyone but if she can ask her friends who she let in our room if they knew about it. But of course, who would admit their misdeeds esp. this one? The answer was a clear no she didn’t do it. What made me angry even more was when my roommate sent me strings of text messages in a very defensive manner. I was really pissed off and sent just one reply. I told her I am not in a habit of making up stories. The fact is I lost some money and whoever did it “bahala na siya” (ok, english translation?) and it’s up to her conscience. I guess what hurts me the most more than the lost items is the fact that over and over again, I haven’t learned my lesson… Over and over again, I kept on trusting people, trying to see the goodness in them only to be hurt again… Over and over again, I am left feeling helpless… Over and over again, I found myself at the losing end.